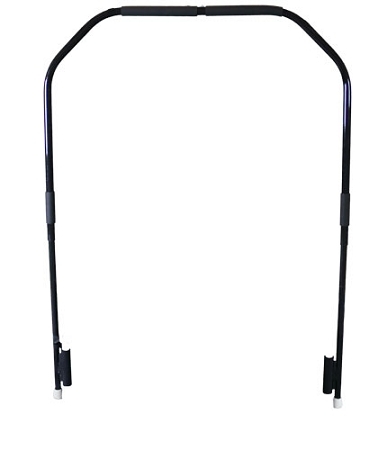 The Needak Rebounder Stabilizing Bar slips onto the legs of the rebounder providing a bar for those who need extra stability or balance during their workout. The stabilizing bar is adjustable to 3 different settings of 29 inches, 34 inches, and 41 inches in height between the jump surface and the hand grip. NOTE: This is produced for use with Needak Rebounders (folding and non-folding mini trampolines) Only.